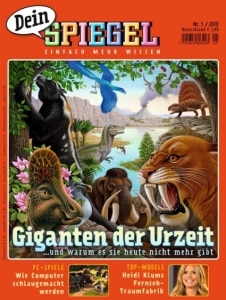 Dein Spiegel, Der Spiegel’s magazine for young readers will be available in Hungary as well. Unlike other magazines for children, Dein SPIEGEL addresses girls and boys aged 8 to 12 with a full spectrum of topics. In an entertaining and instructive way, the magazine provides news and information from all over the world, as well as fascinating stories about people, Germany and other countries. It also contains features and interviews with politicians, celebrities and stars from the worlds of culture, sport and music, as well as discoveries in the fields of research, environment and technology.